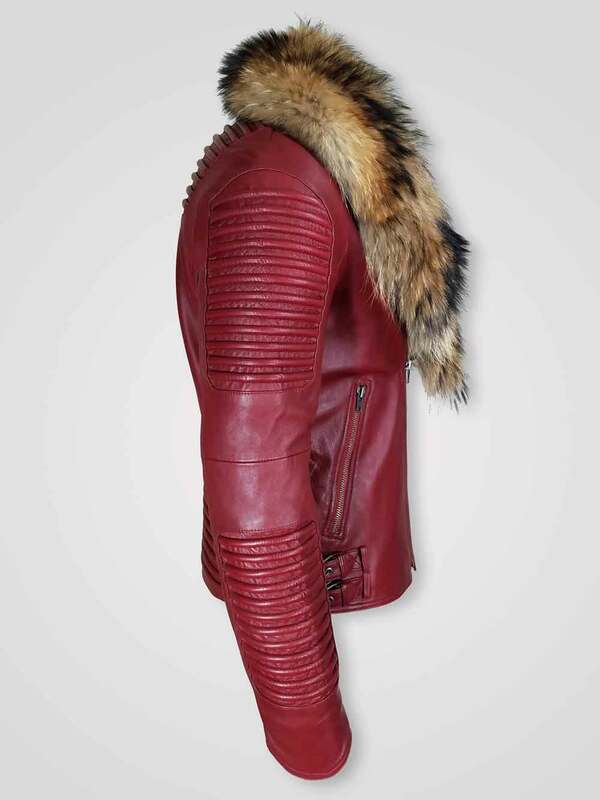 Description: Ruling the trend with the latest winter outerwear collection is the main motto of Alen Cooper. 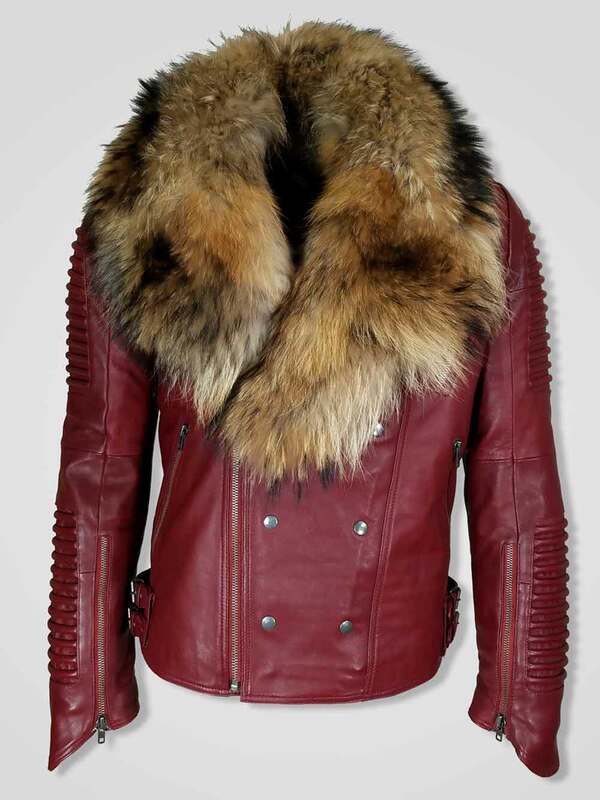 And that’s why now it is here with a unique pure Italian leather finish jacket for men. 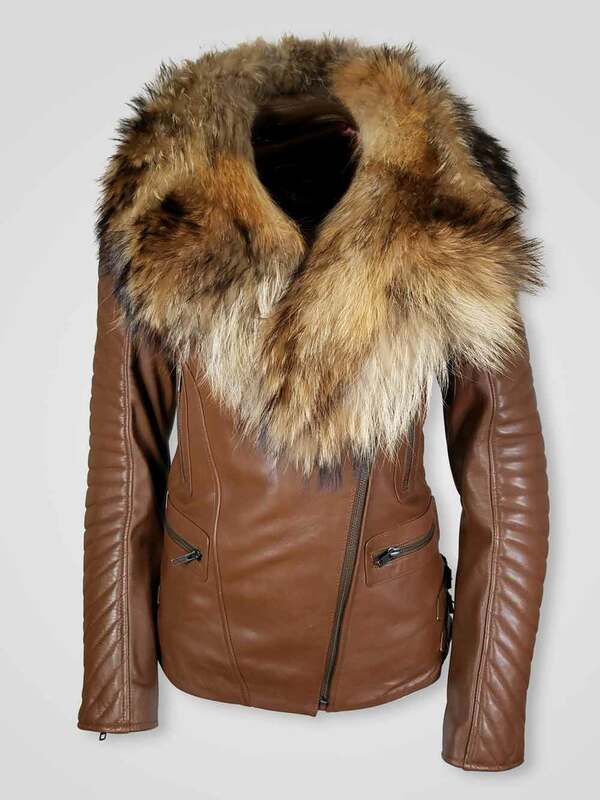 This jacket is of classy real fur collar. 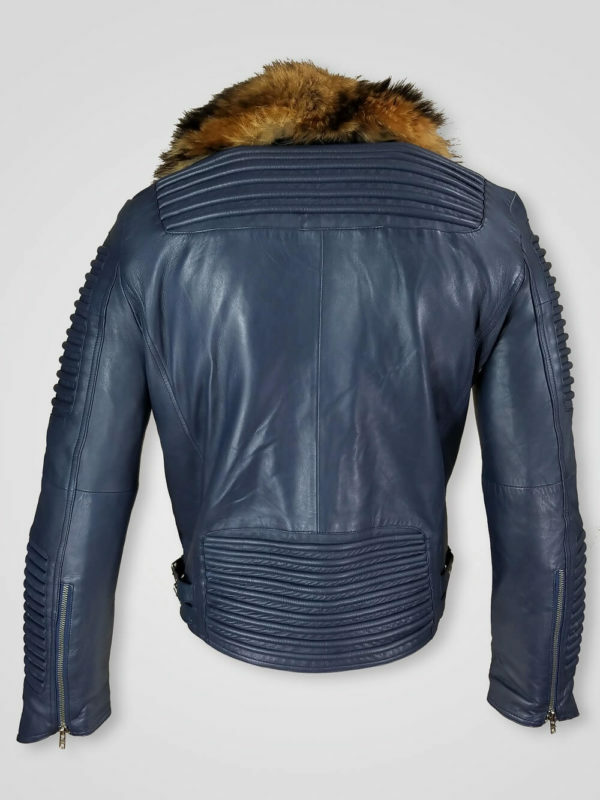 There are pairs of snap buttons at the front so that you can get a more stylish look with this outerwear. 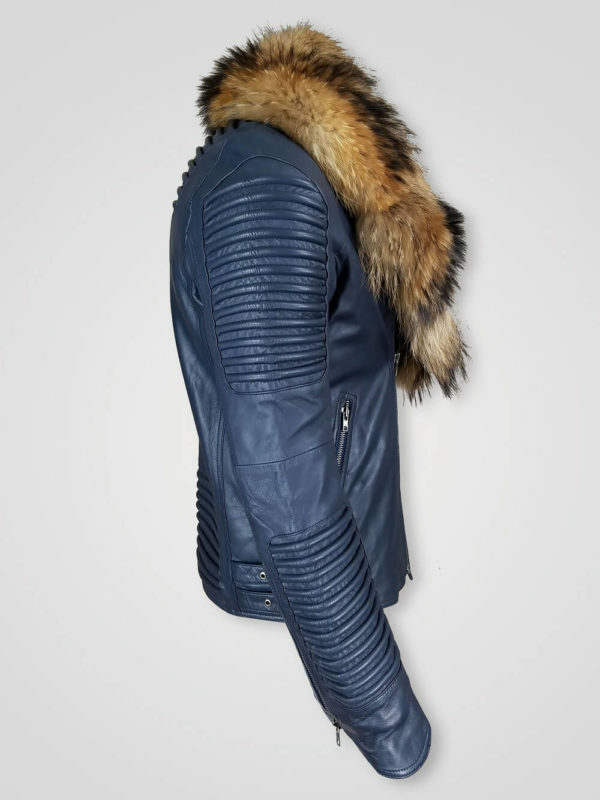 The asymmetrical Zipper closure at the front side and long quilted sleeves with leather pipe ribs are the attractive features of this winter outerwear. Storyline- FUR has controversy although it is not out of the fashion. 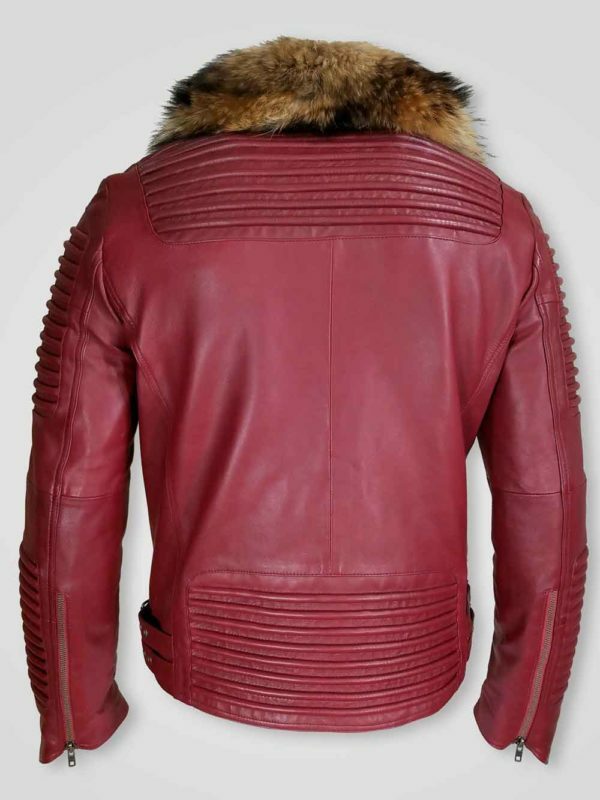 From the Ancient time, it has been using as a great winter wear. If you go traditional then you will find Russia, Ukraine, Yugoslavia, Scandinavia, and Japan still practice fur fashion greatly just like carrying the tradition from one decade to another. From early European settlement to the invention of modern alternatives, fur has just enriched the fashion genre and then fall for a while but it is rising again in the countries with too cold winter. Leather and fur is a great combination. In early 1900, American fashion considered single breasted lapel collar leather jacket as a very stylish design. 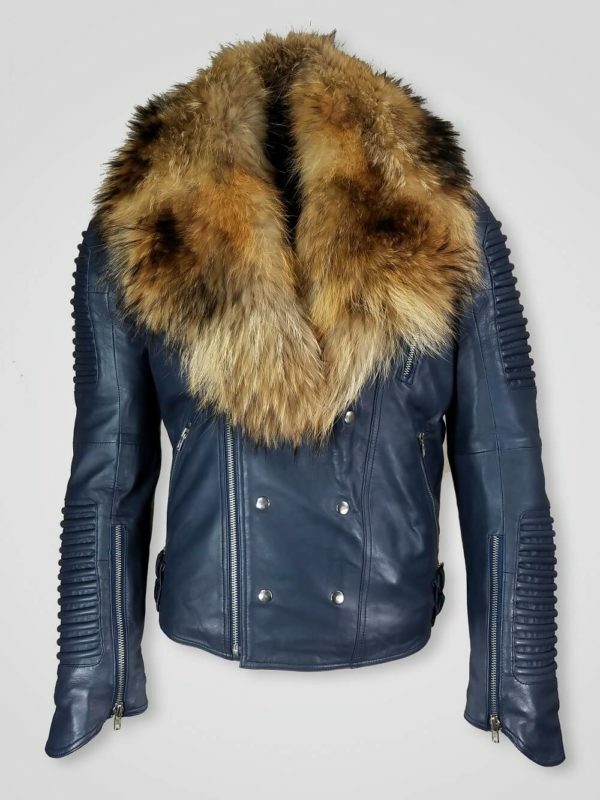 With the experiments and change in fashion sense, real Italian leather finish double-breasted jacket with real fur collar is getting viral in the USA. 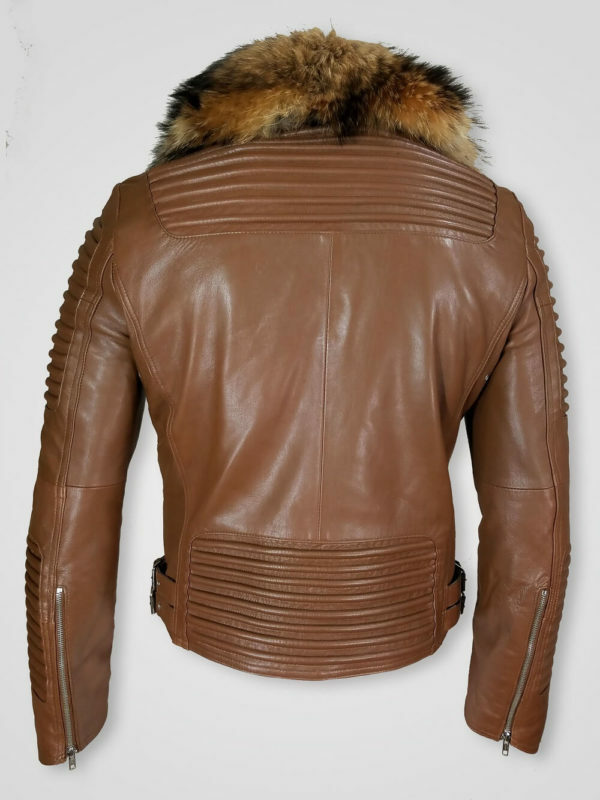 It can be called the modernization of regular winter outerwear regime by the fashion and textile experts. 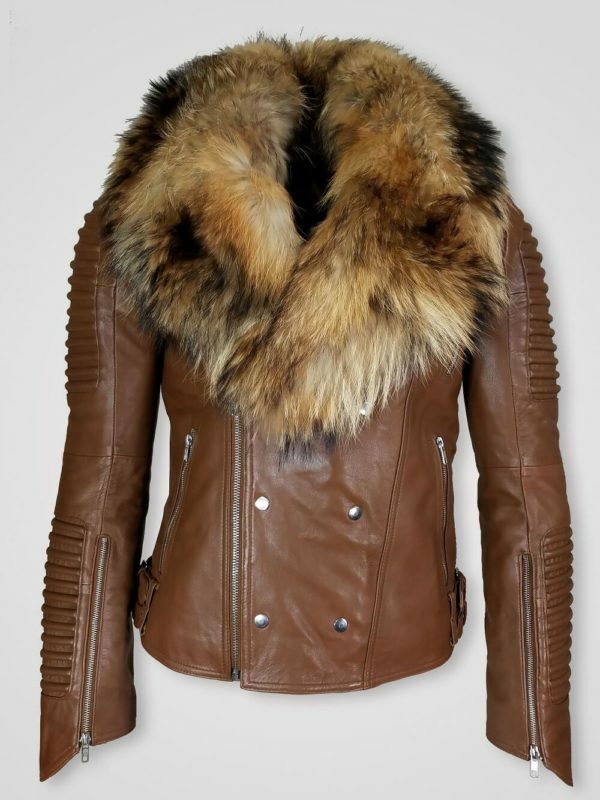 Specialties- Real Raccoon fur collar, quilted long sleeves and shoulder and stylish snap buttons are the attributes which are making this outerwear a must-try worthy product. Really impressive it is. I was in doubt that the fur will be real or not. But the fur is real, soft and keeps me warm all the day. I am really satisfied with the quality and style of this product. Neck- where your shirt’s collar sits of the neck, there place the measuring tape in a relaxed mode and take the measurement. 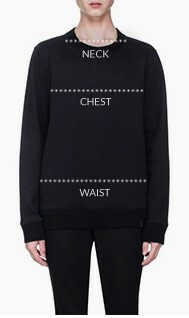 Chest- around the fullest part of your chest, place the measurement tape. The measurement tape should be even and parallel to the ground during the measuring regime. Waist- here you need to measure your natural waist, the narrowest part of the torso but don’t forget to hold the tape in a slightly relaxed mode.